What is different with European Skin Care? How does it work? It is maybe safe to say that skin care, like music, is a universal language. In this article, we will focus on one country, in particular, that is Europe, and investigate what makes the European skin care interesting and different from that of other places. People around the world are obsessed with it, along with beauty products like makeup. In line with learning how to do makeup is how to take care of your skin as well. Melvita, an organic European skin care and makeup company based in France, is a cosmetic industry leader since the year 1983 founded by a beekeeper. The brand is known for its honey “Apicosma” range produced with organically made honey directly sourced from their own beehive. Yes, you read that right, they do have their own beehive. With more than 400 products under their belt and a multimillion partnership with L’Occitane en Provence– the brand has definitely something to offer. With the premise to make you feel good inside and out, Supermood is known for its dietary supplements. But of course, they also have different skincare and wellness products which are divided into three classifications. First, there is “egoboost” which promises to tighten your skin. Second, the “beauty sleep” which is for revitalizing. Lastly, the “youth glow” for skin renewal. The brand makes use of Chaga mushroom as its main ingredient. This kind of mushroom grows on Arctic trees and has been around for many years now and through its existence, it has been used as a remedy for rejuvenating skin and treating pigment flaws. 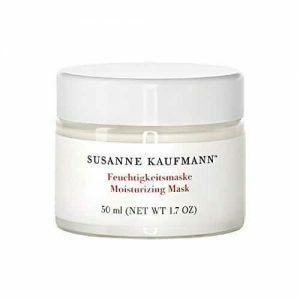 One of the much-known brands in the organic products section, Susanne Kaufmann originated from the Bregenzer forest located in the Austrian Alps. Since she was very young, Kaufmann liked the idea of mixing the effects of Alpine flora with a modern and holistic approach to makeup and skincare products. They came up with glass jars that were individually tested, filled, sealed then packaged by hand. Definitely made out of the labor of love and passion for European skincare and makeup. Susanne Kaufmann products range from bath oils to hair care that caters to both men and women alike. They are also much known for their bath salts which promise to “reduce the acidity of the skin, promotes the elimination of waste products and sets blocked energies free”. This Icelandic brands banks on science as it was founded by three smart geneticists who found a way to bio-engineer a replica of EGF which is a naturally existing human protein in barley. They called it the Bio Effect EGF. This plant-based replica has the brand catapult to success. The serum can be a bit pricey but effects to a glowing and more beautiful skin are guaranteed. Arbū which is a Latin word for tree is a cosmetic brand that makes use of the organic Bulgarian Rosa Damascena oil. This oil is very popular, not only because it has been used in the cosmetic products for years, but also because it fights free radicals, excites the skin’s own production of collagen and most especially of all, slows down the aging process of our skin. 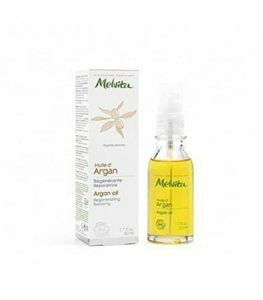 The brand which originated from Bulgaria uses more than 50 organic ingredients in their products and all of these are paraben-free and no artificial fragrances. Also, the company promises to plant a tree for every Arbu product you purchase as part of its mission to fight climate change. How amazing is that? If you happen to have a local Walgreen in your area then they will definitely carry this European skin care brand called Boots. Boots products are popular in the UK drugstores. There is a whole wide selection of European skin care products in the Boots’ skin care line. They have different stuff for every skin type and problems. 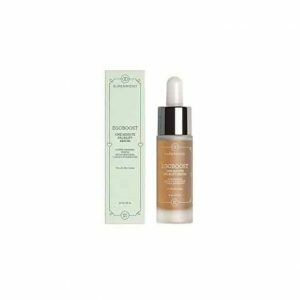 One of their many products that stands out is the Rosewater Toning Spritz. This toning spritz promises to cleanse the impurities in your skin and at the same time refreshes it. This is can be a nice midday refresher that will definitely leave your skin feeling fresh and glowy. In addition, the rose scent is also very fresh and has a calming effect. That’s it! We have reached the end of our list. Those are some of the organic products with European skincare origin. Of course, these are just some of the choices that we feel will benefit you the most. In our world today, there are a lot of stressors in the environment. It can be the people around us, the work that we do, our frustrations in life or other elements that surround us. All of these can are stressful for our minds and our body as well. When these stressful elements in our life get to the best of us, it will definitely manifest in our physical well-being in the forms of an unhealthy body, groggy attitude or unattractive skin. To be honest, your physical attributes is what draws attention to you as a person. Some people may not like this, but this is the harsh reality of our society. People will judge you for the way that you look in terms of your clothes, hair or skin. A glowing skin indicates a healthy diet and proper hygiene. This is why skin care is very important. The No-makeup look is even a trend nowadays which is just basically to boast of the fact that one does not need makeup because of their good skin. Now, another question that needs to be answered here is what entails proper skin care? Of course, proper skin care entails the right kind of product and mindset. Skincare can be as simple as washing your face every day and making sure that you get rid of all the dirt accumulated throughout the day. Watch this to get started on your basic skin care kit, if you don’t have one yet. Skin care is vital to each and every one of us. It is very important to have a regular skin care routine that is suitable for your skin type. Skin therapy is also an important part of a regular skin care routine, read more about it here. There will be times where after a long night, you would just want to fall asleep without cleaning your face and not caring about what is on your skin. It takes a great deal of dedication to actually get up and clean your face even if you got home at 3 in the morning. It is a fact that your skin is one of the largest organs in the body. Every day, it works hard to protect you from all the harmful elements in the environment and the least you could do is take care of it. This will not only make your skin look better on the outside but on the inside as well, as it will be able to function properly and do its job better and longer. If those reasons weren’t able to convince you then here are more reasons why skin care is very important. Today, your skin looks great. But scientifically speaking, this definitely won’t last forever. Our skin cells shed every minute of the day. This is one reason why developing a daily skin care routine is very important because once the healthy skin sheds off, you might end up with a dull and dry looking skin. Trust us, you wouldn’t want that. A regular skin care routine will help maintain healthy skin even if it sheds off all the time. This might be very frustrating to you but we all know someone who has great skin without even trying. Do not feel bad, each person has a different skin type. This can be brought about by their genes and you can’t change that. Your skin might require more care than others but one thing to be grateful for is that there are a lot of things you can do to get the glowing skin you’ve been dreaming of. Once in a while, we can’t help but look far into the future and it is very important to note that the choices we make today will determine each and every aspect of our life 30 years from now. This also applies to clear and beautiful skin in the future. Developing a daily skin care routine can make this happen. This is a lifelong process and does not happen overnight. At the same time, if you don’t take care of your skin now then you will end up with something you won’t definitely want to live with. This may sound too much of a cliché but prevention really is better than cure and this applies to skin care as well. Preventing possible skin problems as early as now through daily skin care routine is so much easier than treating serious skin issues in the future. Taking your own sweet time in figuring out the best skin care for your skin type would result in not having a derma visit in the future. A visit to the skin doctor would not only take much of your time but will also cost you a lot of money. Check this out on why healthy skin matters according to the National Institute of Arthritis and Musculoskeletal and Skin Diseases. Putting together a regular skin care routine will cost less than going to dermatologists. If you take skin care seriously now then you won’t have to deal with skin doctors in the future just to fix the problems you can fix as early as now. Looking more into the bright side—you can use that saved up money for travels or splurge on make-up products that you badly want. Let’s be honest here for a second—acne and other facial skin problems can definitely lower your self-confidence. Do not take this the wrong way but won’t you feel a lot better with aore beautiful and clearer skin? If you feel good, you will definitely look good too. A clear skin means you are taking care of yourself. You will not only be able to put your best foot forward but also your best face forward. Get it? Starting a skin care routine can be a start if a string of other healthy routines. You will be able to develop other healthy habits like going to the gym and eating right. Doing all these together will not only make you feel great but will definitely feel great as well- inside and out! These are just some of the million reasons why skin care is very important. This is the bottom line of any kind of skincare in the world but since in this article we will be talking about a specific type of skin care that is the European skincare, it is also vital we understand its history. Everything has history and so does European skin care. It was in the Middle Ages that church leaders identified those who wear makeup as sinful and immoral. However, even with this rule a lot of women then still chose to wear makeup. During Renaissance times until the 20th century, a darker skin color unfairly meant that the individual would be suffering from a lower status in life. This is because people believed that lower classes had to work outside thus their skin was darkened due to long exposure under the sun. Those who have a higher status in life had more time inside their houses resulting in a pale skin. This skin color discrimination resulted in many men and women who wanted to lighten their skin color through the use of a variety of products such as white powder and even white lead paint. The paint contained arsenic which poisoned a lot of women who used it. It was also during the Middle Ages that many women in Europe wanted to achieve a pale face because it was such a huge trend back then. Many of them would bleed themselves out, which is obviously very problematic in nature. The demand for lead-based makeup and skin grew as well. Women in Europe used to lead in a lot of ways such as mixing it with vinegar for whitening foundation or using it facial peels to remove freckles. It can be said that through the history of skin care in Europe, people really wanted to have that white and lighter skin. This is also one of the reasons why many skin care products from Europe focus on whitening. You can learn more about the ancient history of cosmetics, skin care and more here. When we look at pictures of Emma Watson, Kate Middleton or other famous people from Europe, we can’t help but wonder what is in their country that makes their skin that beautiful. Maybe it is in their homegrown products? Or their own skin care routine perhaps? To cure the curiosity fever, we searched the web and put together all European skin care tips that we can gather. You’re welcome, by the way. One thing we learned that the European skin care swears by is to stay as natural as possible. European skin care has a lot of cleansers and moisturizers that have natural ingredients. Their beauty routine is also encouraged at a very young age and makeup products are used at a bare minimum. Another thing that European skin care swears by is that aging is a beautiful process and one should age gracefully in their life. This contracts the belief of our friends from the West whose goal is to delay aging as much as possible. Let us present to you the different skin that they use as the first line of defense to have naturally beautiful skin. First, on the list are cleansers. For European skin care, this is what prevents premature lines and wrinkles. These facial cleansers have natural ingredients which are unlike their western counterparts. As much as possible, they don’t use soaps at all and even liquid cleansers are not good. These cleansers are made out of goat’s milk which makes it rich and creamy—these milk cleansers are ideal for facial skin care. Since the milk contains lactic acid, it helps revitalize the skin and get rid of the wrinkles because lactic acid is known to be a face exfoliator. As part of the European skin care, these facial cleansers help get rid of the dead skin cells and eventually create a naturally glowing skin. Creams are also part of the European must have skin care list. These products help our skin thrive in any environment. Europeans believe that each part of our body needs different attention thus these European creams and moisturizers are specially made to treat the face. This is an essential step in European skin care. Toners allow a total removal of all the residual dirt and oil in our skin. Using the right kind of toner will make sure that the skin on your face will be at the proper PH balance. In return, this will make anti-aging oils or moisturizers be more effective when applied. Moisturizing is very important in any skin care routine. The best and right kind of moisturizer will nourish the skin and prevent it from being dry and oily. European skin care makes use of scented, aromatic oils as moisturizers and applied directly on their face. These oils are easier to be absorbed by the skin. They use oils that are derived from different kinds of plants such as lavender and tea tree. They have different beneficial properties that are perfect to achieve that naturally glowing and clear skin originating from all parts of Europe. Serums are considered to be a vital part of the European skin care. These specialized serums are used regularly and best for those with sensitive skin. The serum helps in protecting the skin from harmful UV rays and other elements that cause our skin to age faster than it should. In addition, it also helps improve facial skin elasticity and tighten skin by minimizing pores. Another part of European skin care are these highly recommended treatments which aim to improve the skin all over our body. There is no doubt that European women place a high value on beauty and self-care. Making an extra step in taking care of themselves is not considered to be a chore but an integral part of life. The Swedish sauna technique is a popular skin care treatment in Europe because of its excellent health benefits. This is done through the usual sauna experience wherein dry heat is used to help get rid of toxins in our body. Stay in the sauna for 10 to 15 minutes then a cold shower for 15 seconds. The benefits if this sauna technique includes improved blood circulation, having better sleep and stress relief. At the same time, it also burns your calories. Many women from Europe believe in drinking one glass of red wine every single day and walking for a solid 30 minutes. It is believed that red wine has anti-inflammatory and anti-aging benefits. Also, it helps regulate one’s appetite. A glass of red wine daily is said to be the secret to their youthful and trim appearance. The diet of the European women is the same to that of the Mediterranean diet which gives emphasis on vegetables, fish, whole grains and olive oil. Also, they enjoy their food, eat in moderation and avoid unnecessary snaking. It is a fact that Italians have very nice skin. These are the natural remedies that Italians use in their beauty routine. Let’s check them out. They use lemon mixed with water. This is a home-made natural tone to help even out the skin tone, among its hundreds of benefits. Extra virgin olive oil has antioxidants that contribute to keeping the skin youthful and glowing. You can use it all over your face or even in your body. Kitchen stuff like garlic can also be used part of your beauty routine. Just get a piece of garlic and slice it into two. Rub the sliced edge on your pimple and voila! Your zit will be gone in a few. Castor oil is very popular among those who want to keep their lashes strong and long. Beautiful lashes mean beautiful eyes. For people in turkey, yogurt or kefir is necessary. This helps aid digestion but is applied externally. Kefir and yogurt are considered to be pro-biotics which play a big role in making our skin healthy such as improving the case of acne, eczema, and psoriasis. They also help moisturize the skin by minimizing the wrinkles. It is very evident from all these treatments and routine in different cultures that the way to a beautiful skin is a life of moderation, good cleaning, and reliable products. Adding these to your lifestyle will definitely help you achieve the kind of skin you want. We know you are curious to know more. Well, we will give you more. Here are some of the European skin care secrets that you don’t have to travel all the way to Europe to know about. You will be surprised that most of the components of European skin care still rely on natural beauty products from many years ago. With further ado, here they are. It is a known fact that milk contains lactic acid which is good for exfoliation and the skin and has lots of vitamins A and D which is good for nourishing the skin complexion. At the same time, honey is considered to be a natural moisturizer. When both are mixed together and used on the face, it is a perfect combination. After washing your face, soak a cotton in milk and the honey. Afterwards, massage in your face. Expect results after some time. European skin care utilized glycerin for hydrating one’s skin. Skin hydration is a really big deal for them. They have lots of skin care products that contain glycerin such as creams and lotions for the face to help reduce redness and combat chapped skin. Europeans are not afraid to use ice cold water. They use it for faces and bodies to achieve good blood circulation which will effect to that natural level of color and glow in your skin. But at the same time, it also has other advantages like reducing puffiness and inflammation. Just splash cold water on your face before sleeping then you are good to go. There are a lot of ingredients that can be used in a mask but for European skin care—honey is the best. Women in Europe like put just a thin layer of honey on their faces to help lessen the wrinkles and fine lines. Also, it acts as the skin’s protection against harmful UV rays. As mentioned beforehand that the European skin care credo is “stay natural”, they like to put an emphasis on making their skin flawless rather than putting on lots of makeup. This looks a little bit more effortless on their side as well. Did you know that olive oil is rich in antioxidant properties and helps in keeping the skin moisturized? As part of the European skin care, women like to apply olive oil directly into their faces as a moisturizer. Some would even drink at least one tablespoon of it to get maximum effects on its benefits. Almond oil is filled with vitamins and minerals essential to the skin. That is why it is used widely on spa treatments and massages. It does not only balance out dry and irritated skin but it also absorbed well which is good because it does not block out the pores. Among its other benefits are getting rid of fine lines, dark circles, and event unwanted stretch marks. We could not stress this enough but make sure to drink enough water every day. Moisture and hydration are very important. Make it a habit to drink 8 glasses of water every day. This is to make sure that your body will function well for the rest of the day and your skin will not dry up. Exfoliating is also a key component of the European skin care. This is probably one of the main reason why their skin looks glowy and flawless. It is nothing but important to get rid of your dead skin cells so the new ones can take their place. There you have it, guys! These are just some of the no-so-secret-anymore tips from the European skin care regimen. At this point, we will now discover what specific products they most commonly use. Continue reading as we learn more. When it comes to makeup and skin care products, most known brands come from the US and Asian countries. However, there is not that much written about products that are based in Europe when in fact there some very notable brands coming from there especially from France and the United Kingdom. On the other hand, Iceland, Greece, Austria, and Bulgaria is known for organic and plant-based skincare products. 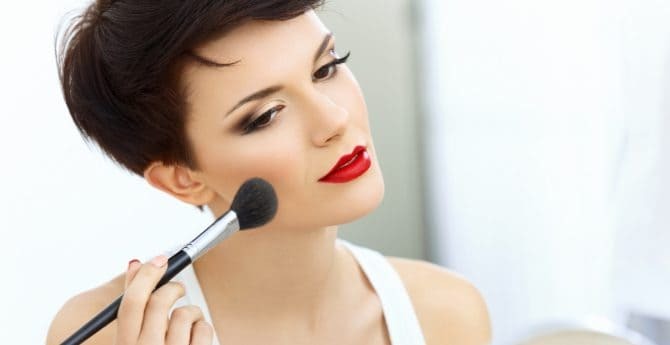 People who invest in makeup and skincare make it a point to get the value for their money that is why they are very keen on the details of the products. As much as possible, they want to get something that is not harmful and can definitely benefit their skin in the long run. A lot of consumer health organizations are calling attention to those products with harmful chemicals that can cause cancer. It is very important to note that organic or plant-based products should really be the trend nowadays. There is no other way to an effective skin care routine but to put an extra effort into it. Great skin is not achieved overnight and that is one takeaway we can learn from the European skin care. Patience and dedication are what makes the European skincare routine work and also understand the fact that what you do now will have a long-term effect in the future. Another thing we can mimic from European skin care is to believe in the power of all things organic. This is the new road now to becoming less toxic in the environment and at the same time have more beneficial effects. We hope you got what you needed from this article- an understanding that skin care is one of the things you should definitely invest on and that no matter what nationality you are- Asian, European or etc- the skin is definitely worth taking care of.